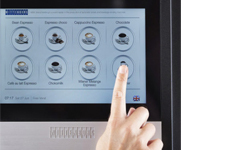 As 2016 saw Wittenborg add a new touch to hot beverage vending, with the 9100: The Wittenborg 9100 features user-friendly touch screen technology and is setting new standards throughout the industry. 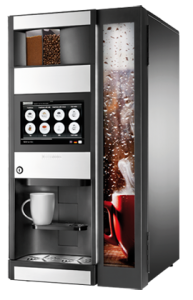 9100 is the new generation of Wittenborg coffee machines, a further leap forward in innovation and design from the success of the previous 7100 series. 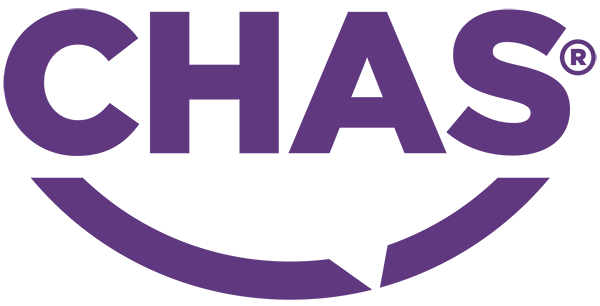 It offers a wide variety of selections and drinks choices, which are easily made by the intuitive interface of the 10’’ HD touch screen, which visually guides the user through the drink preparation and selection process. 2017 also sees the addition of other versions, as the ESFB tea 9100 is launched! 10’’ touch screen offers a visual guide, making choices easier. The design and layout of the screen can also be fully customized to suit any environment. Espresso, cappuccino, caffe latte or a creamy hot chocolate – made just they way you like, simply by the touch of your finger. 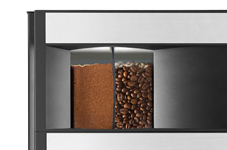 The canister contains up to 3 kg of beans. Now available with beans and fresh brew tea! 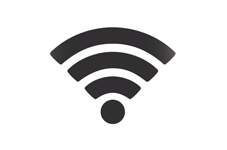 WiFi and Bluetooth enabled on-screen information and entertainment, available as an optional accessory.